Last weekends Air Jordan VI “Champagne” and “Cigar” Pack was inspired by Michael Jordan’s first championship ring and if you remember correctly, Champagne and Cigars were essential for every celebration. The Chicago Bulls were remembered for popping bottles and smoking cigars to celebrate their championship wins, which made each of them memorable. 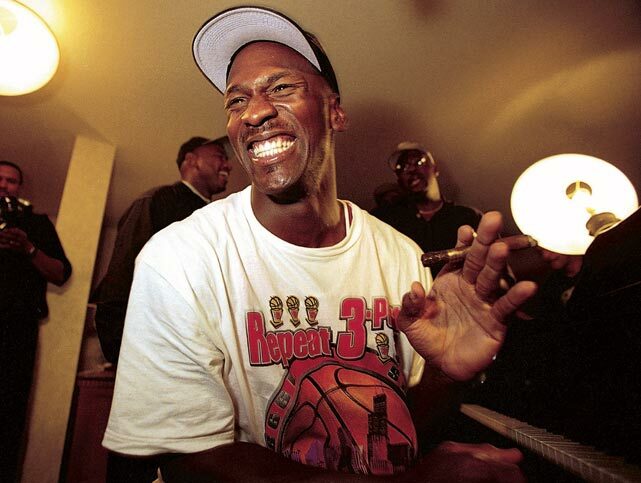 Here’s 18 Champagne and Cigar moments with Michael Jordan.